Beverly Rubik earned her Ph.D. in biophysics in 1979 at the University of California at Berkeley. She has had a life-long interest in frontier areas of science and medicine that go beyond the mainstream, and she is internationally renowned for her pioneering work. She was director of the Center for Frontier Sciences at Temple University from 1988-95, where she explored the role of consciousness in the physical world; bioelectromagnetics; and alternative and complementary medicine. 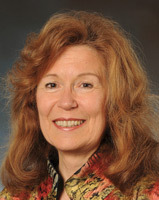 From 1992-97, she was one of 18 Congressionally-appointed members of the Program Advisory Board to the Office of Alternative Medicine (precursor to the National Center for Complementary and Alternative Medicine) at the US National Institutes of Health (NIH), and chaired the NIH panels on bioelectromagnetic medicine and manual healing modalities. In 1996, Dr. Rubik founded the Institute for Frontier Science, a nonprofit institute for research and education funded initially by Laurance S. Rockefeller, Sr. and later supported by NIH, which is presently in Emeryville, California. Recently published original research includes studies on brainwaves and bliss; the human biofield and biofield therapies; and functional water in relation to health. Presently she is conducting research on human exposure to cell phone radiation; exploring the extremely low-level light emitted from organisms; and developing novel physical sensors together with Harry Jabs, M.S., for various field properties of the living state. Dr. Rubik has published over 90 papers and 2 books. She serves on the editorial boards of Journal of Alternative & Complementary Medicine; Evidence-Based Integrative Medicine; Integrative Medicine Insights; and the Journal of Vortex Science and Technology. She is also an adjunct professor for masters and doctoral students at California Institute of Integral Studies; Saybrook University; and Energy Medicine University. Beverly Rubik has won several awards for her scientific research and has been widely interviewed, including on the popular television program, “Good Morning America” (ABC-TV). She also serves as a consultant on maverick projects in the corporate world and to integrative health clients. What do cell phones, wireless internet, cordless phones, cell phone towers, “smart” meters, “smart” home appliances, and compact fluorescent lights have in common? They all emit radiofrequencies (RF) or create “dirty electricity.” Moreover, these devices are all around us and may be affecting our health in profound ways. With the proliferation of wireless technology and our increasing exposure to RF, people are experiencing greater stress and have headaches, fatigue, low energy, sleep disturbances, heart palpitations, and other symptoms often associated with chronic radiation sickness. A new syndrome–Electromagnetic Hypersensitivity Syndrome–affects an estimated 25% of the population, with 3 to 6 % severely affected, according to the World Health Organization. Bring your dish to this meeting and share holiday cheer.